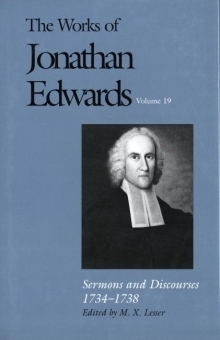 Jonathan Edwards achieved the greatest sustained mastery of the sermon form between January 1734 and December 1738, a time in which he also kindled his first revival. The Northampton revival spread to neighboring towns and villages, as did Edwards’s renown. And the sermons of these years exhibit not only splendid rhetoric but also figural intricacies and tonal nuances that reveal his maturity as a writer. M. X. Lesser is professor emeritus of English at Northeastern University.